Today I'd like to share two birthday cards created by my customers. 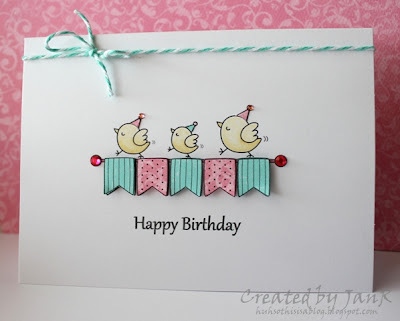 The first card was made by JanR. Love the CAS look and soft colors she used! Please visit their blog to say hi and leave a lovely comment! They are great, so much fun! Two fab cards, I especially love the CAS style on the first one and great colours on the second!